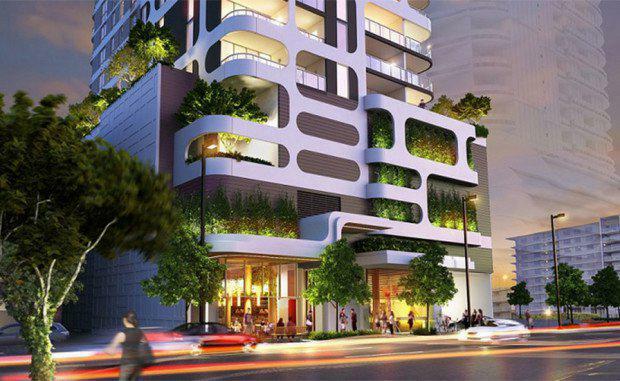 Leading developer Mirvac has announced that construction will start on its new South Brisbane development, Art House, in June 2015, following a successful pre-sales period with 75 per cent of the development now under contract. At 27-levels, Art House will be taller than any other apartment tower already delivered in South Brisbane and will offer views of Brisbane city, the Brisbane River and beyond. Comprising one, two and a limited number of three bedroom apartments, the development will also feature a top level Sky Deck housing an open air cinema, a Yoga and Pilates lawn, an outdoor kitchen and spacious communal dining area. Mirvac's Art House project[/caption]Interest in the development mirrors the success shown in its Newstead-based apartments Unison, where Mirvac fast-tracked the second and final release to meet buyer demand. Mirvac’s Group Executive, Residential, John Carfi said he was excited at the imminent start date. “We’re thrilled to start construction and have already commenced site preparations,” he said. As one of Australia’s premier urban renewal precincts, South Brisbane has received commitments from both the Brisbane City Council and Queensland Government for expansion and revitalisation projects, including a $4 billion infrastructure investment. The development marks Mirvac’s re-entry into South Brisbane since the development of Arbour on Grey at South Bank in 2003. “Based on the success we have achieved at Art House to date, we are about to launch our exclusive Master Stroke series. These premium three bedroom penthouses will redefine luxury living so close to all the attractions South Brisbane has to offer,” said Mr Carfi.